Have you ever ordered a chai tea from your favorite coffee house? The warming, sweet spicy tea feels so good going down it makes you just want to hug your mug. But there’s more to chai than just fabulous taste. Are you aware of the health benefits of chai tea? The different spice mixes available let you customize a great drink. Throw in a little coconut milk and honey, and you’ve got a sweet, creamy, cozy treat you find in your neighborhood coffee shop. But that drink is likely a far cry from the world’s first chai. Let’s travel back in time 50 centuries to learn the origins of chai. The story goes, an Indian king asked for a medicinal drink with antibacterial properties to help heal his ailments. An ayurvedic beverage was prepared — a pinch of black pepper and slice of fresh ginger to support his digestive troubles, a touch of clove to assist with pain relief, and a sprinkle of cinnamon to help him breathe better. Even star anise was thrown in to freshen the king’s breath. 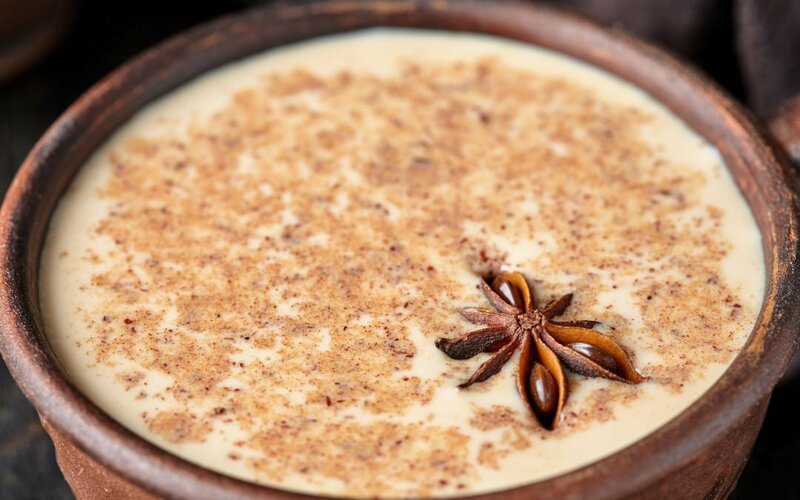 This version of the chai tea drink did not contain any milk or sugar, but the spice-heavy drink spread far and wide. Many thousands of years later, the British added cream to the drink to popularize the “latte” version you know and love today. Of course, today it is widely known that chai tea is not only delicious but chock full of health benefits. 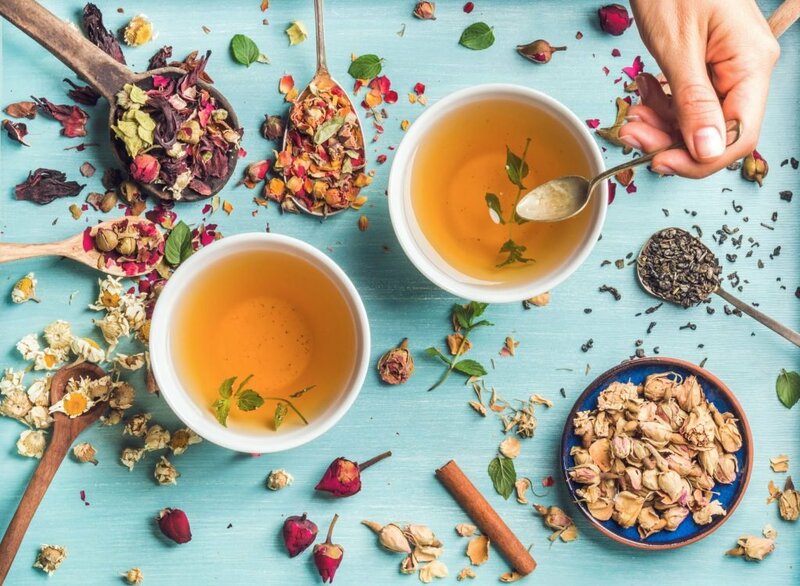 So, if you’re in the market to improve your health, or if you simply want some help getting rid of those day-to-day aches, chai tea could be of assistance. Let’s see why chai stands the test of time and how it can help you today. What are the Ingredients of Chai Latte? 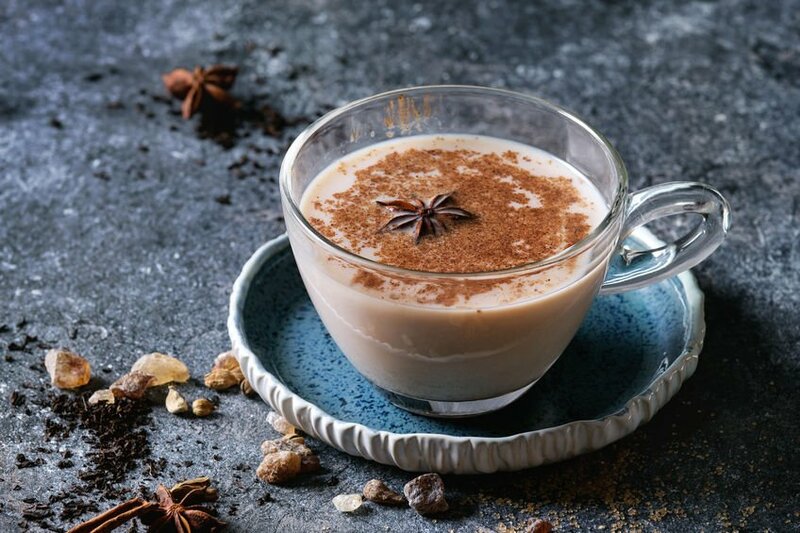 As mentioned above, the ingredients in chai tea can change from geographic region to geographic region, from culture to culture, and even from home to home. But, in general, most chai tea recipes involve the same ingredients. Some recipes even contain other ground spices like coriander seeds. The spices on the list above are filled with polyphenols (helpful and natural plant chemicals with antioxidant and anti-inflammatory properties). These are the magical little compounds that help give chai tea its healing power. 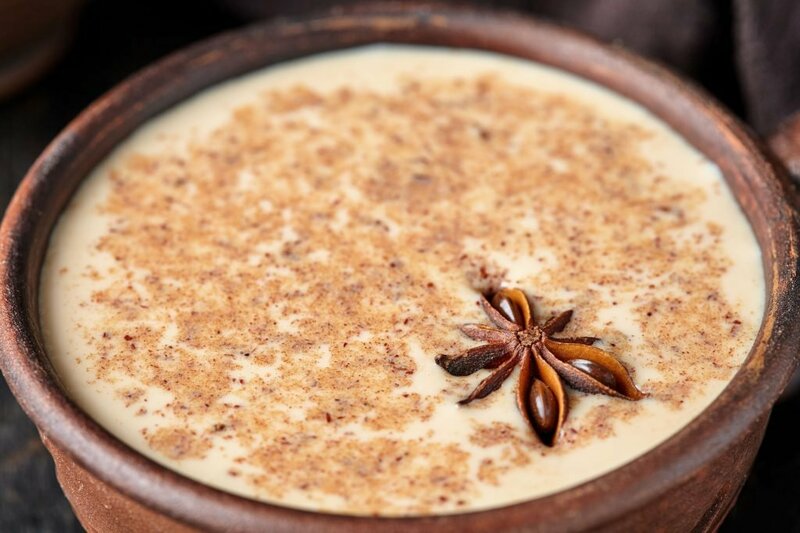 Now, chai tea has another name: masala chai. In truth, when you refer to something as “chai tea” — you’re saying “tea tea” — just in 2 different languages, where masala chai indicates a fragrantly spiced tea. One of the most exciting things about the flavor of masala is the natural kick it gives the senses. The black pepper and ginger can give your taste buds and nostrils a little wake-up call. 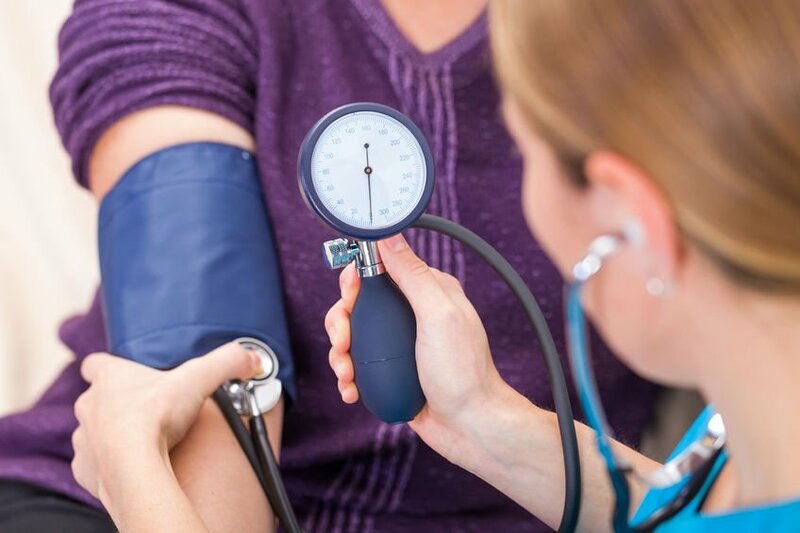 And, of course, you can doctor the tea with any number of sweeteners like stevia or agave and give it a smooth, creamy texture by adding nut milk, or other non-dairy milk. What is the Caffeine Content in Masala Chai? Why resort to coffee when your alarm goes off when you can turn to chai? Chai tea is a wonderful substitute for coffee to help get you going in the morning and to keep you trucking throughout the afternoon. Because chai tea contains black tea, a natural source of caffeine, it’s a great pick-me-up. 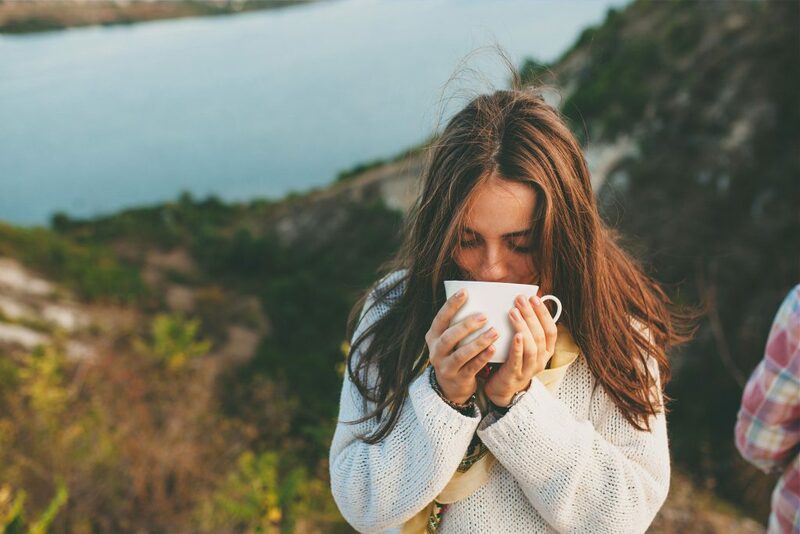 What’s great about the caffeine content in chai tea is you’ll still be able to get your “fix,” but you can drink more than just one cup without really suffering the negative effects of over-caffeinating like you might if you opt for that second cup o’ joe. Bye bye, jitters! What are the Health Effects of a Tea Blend Drink Like Chai? There are numerous positive health effects to be considered when ordering, or brewing, your chai tea. Let’s dig a little deeper and find out just what chai has to offer in that department. Now, cardamom is one of the most powerful spices in the chai recipe, and it happens to have a rich history. Today, you can find cardamom being cultivated in India, Sri Lanka, Guatemala, Thailand, and throughout the world. Along with its sweet smell, warmth, and mild flavor, cardamom is rich in compounds that help to activate your antioxidant defense system. Furthermore, recent studies found cardamom could improve oxidative stress in overweight subjects.3 Oxidative stress occurs when free radical production overflows and your body can’t detoxify quickly enough. So, the fact that cardamom might help counter some of the damage of oxidative stress could make a significant impact on your health. Want a healthy gut? Well, chai tea can help with digestion. As you’ve seen in the chai tea ingredient list, ginger is one of the stars of the drink. And whenever ginger is in the mix, you can bet you’ll find some gut comfort. There are a few qualities that allow ginger to pack a healthy punch. 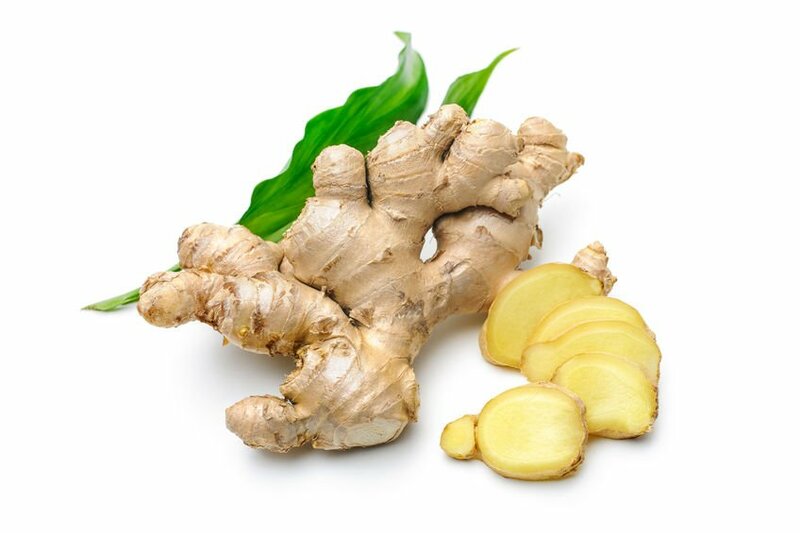 First, ginger can help support better circulation, which means oxygen goes where it needs to in order to keep your organs operating at full speed. Ginger can’t have all the glory when it comes to the healing ingredients in chai tea. Although, ginger can do a lot to help with common aches and pains, let’s not forget the value of the clove. For centuries, people have turned to the clove for relief when it comes to minor aches and pains. 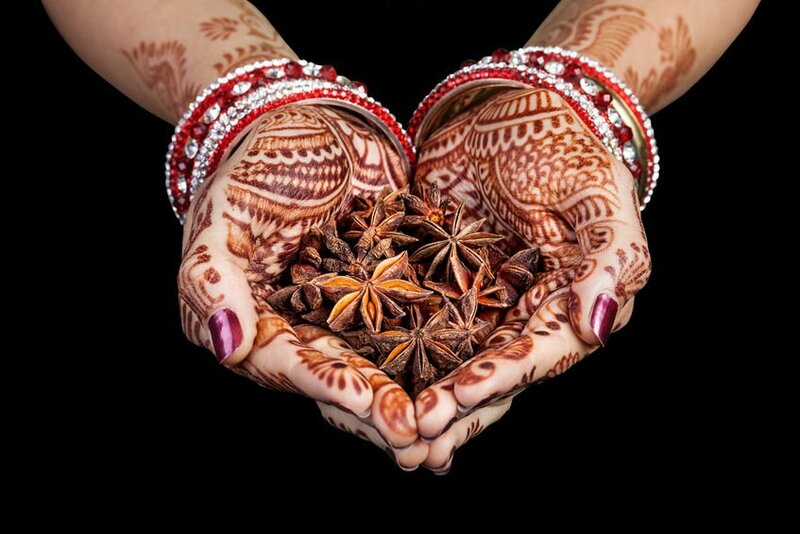 In fact, cloves have been used as an analgesic (used to relieve pain) since around the 13th century. 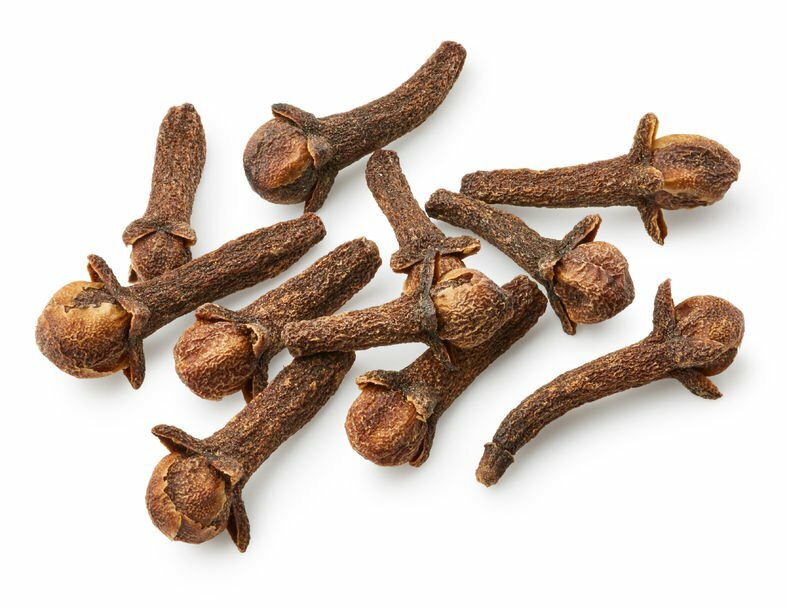 There have been ancient recorded reports mentioning cloves to help alleviate toothaches, joint pain, and certain stomach troubles. How Do You Steep Your Own Tea for a Homemade Chai Latte? 1. Blend your chai spices (cardamom cloves etc.) together with your tea leaves in a pot or teapot. Try using a single teaspoon of your leaves and spices mixture for every cup of water. Reduce spice mix if it’s too strong for you. 2. Boil the water. Pour the boiling water over your leaves and spices (cinnamon cloves etc.) mixture. Let the blend steep for 3-6 minutes, depending on how dark you like your tea. 3. Strain the leaves and spices mix. Add warm non-dairy milk (coconut or almond milk are perfect) to taste to create a latte. You may also choose to sweeten with agave, stevia, honey, or even maple syrup. Or add a vanilla bean to give it a little more warmth and sweetness. That’s all there is to it! Let the hot water cool a bit and enjoy! Well, rooibos tea is more of an acquired taste, but it has a light, earthy flavor. Like chai, the herbs in rooibos contain antioxidants responsible for the tea’s health-boosting abilities. 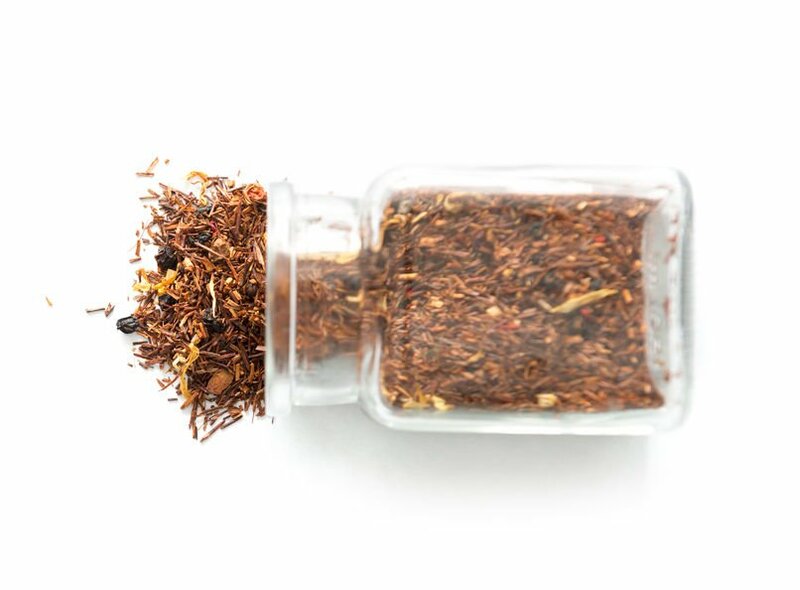 Rooibos is a South African, herbal red tea that comes from fermenting leaves of the Aspalathus linearis plant. But did you know that this spiced tea is caffeine free? 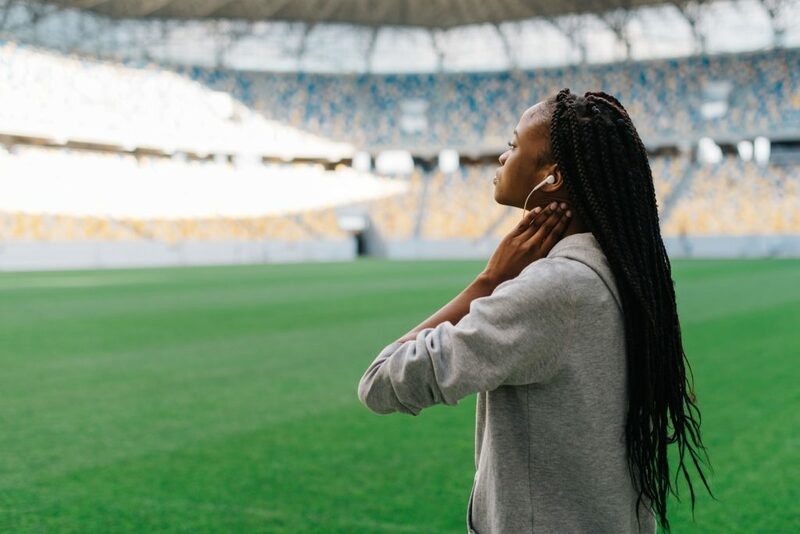 So, if you’re looking to a less energizing tea that still ticks the health box and has a robust, earthy flavor… give rooibos a try. Yerba mate might be a great choice too. And if you opt to drink your tea without milk or sweeteners, you’ll never really have to worry about calories. In the end, you’ll find that chai tea is full of wonderful polyphenols and antioxidants that can boost your health and aid digestion. Of course, these magic compounds live in the spices and tea leaves that make up the tasty beverage: ginger, cloves, star anise, and more. So, why not kick off your day with a hot mug of chai tea for your health and well-being? And if you need an afternoon pick-me-up, you can go in for more chai without worrying that a second cup will keep you up at night. Who knows? You might even make new friends as your neighbors and officemates could start asking you to brew up some chai for them when they smell the sweet aromatics waft by.